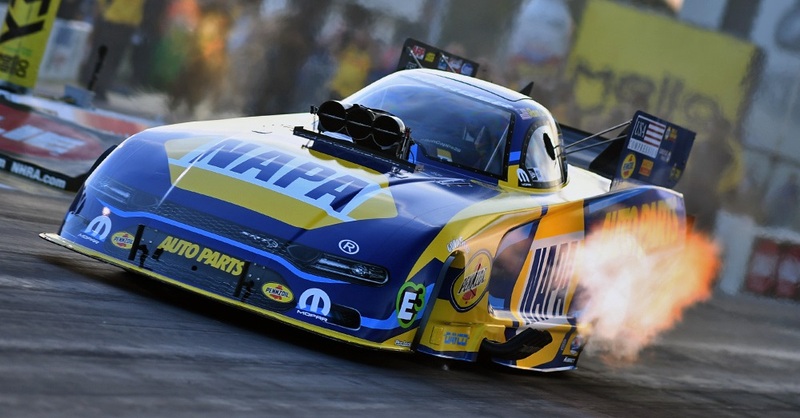 The final was postponed until two weeks later as part of the U.S. Nationals near Indianapolis when Capps posted the Brainerd win with crew chief Rahn Tobler and the NAPA AUTO PARTS Dodge Charger R/T Funny Car team. He shipped the NHRA Wally trophy to the Minnesota for a tour of NAPA AUTO PARTS stores around Brainerd. 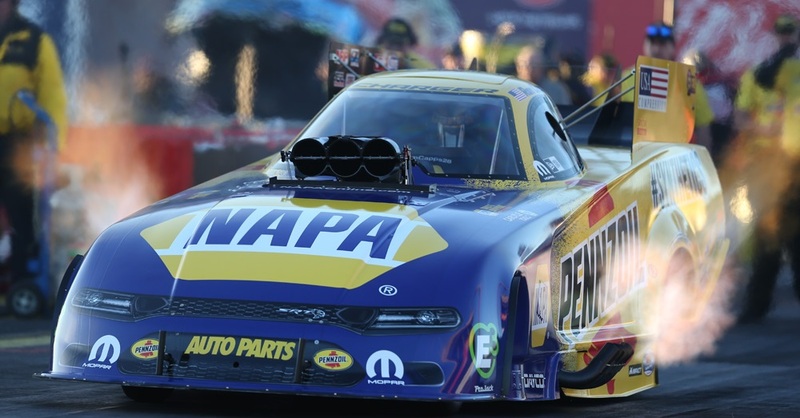 #NHRAToday Does @RonCapps28 have the “mojo” to win it all in 2016? 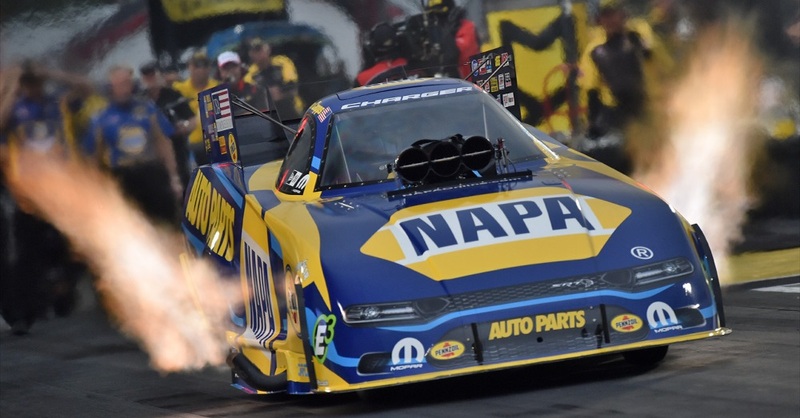 This weekend at Brainerd, Capps gets two chances to raise an NHRA Wally trophy with his throng of NAPA fans because rain on Aug. 5 at the last race near Seattle delayed the Funny Car final round between Capps and Del Worsham to Saturday’s first qualifying session at Brainerd. Another opportunity will be Sunday during the regularly scheduled eliminations at Brainerd. “Everybody here, nothing against the fans here, but this is for the Brainerd fans,” he said after winning two years ago in the postponed final at Indy. “This win really is for Brainerd and the amazing fans there. I could smell cheese (curds) cooking in the North Forty. And true to his promise, the trophy toured through NAPA country and a “Ron’s Traveling Wally,” Facebook page was created. Capps, who holds a commanding lead in the NHRA Mello Yello Drag Racing Series Funny Car standings, arrives at Brainerd with a category-best four event titles this year through 16 races and is coming off career-best performances with a best elapsed time of 3.843 seconds and 330.23 mph at Seattle. 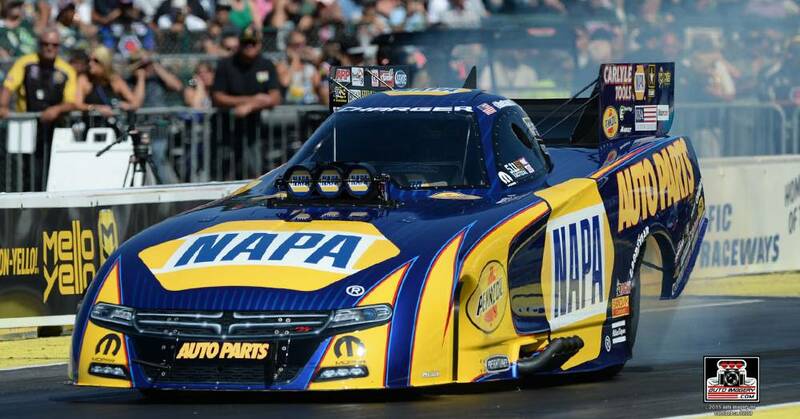 “That was another great run by Tobler and the NAPA team,” he said. “So many Funny Cars were running in the 3.8s at Seattle in great conditions and it looks like we could see similar conditions this weekend at Brainerd. “It’s really ironic after we couldn’t run for the trophy two years ago at Brainerd that we get to go back now with a chance to win two trophies. 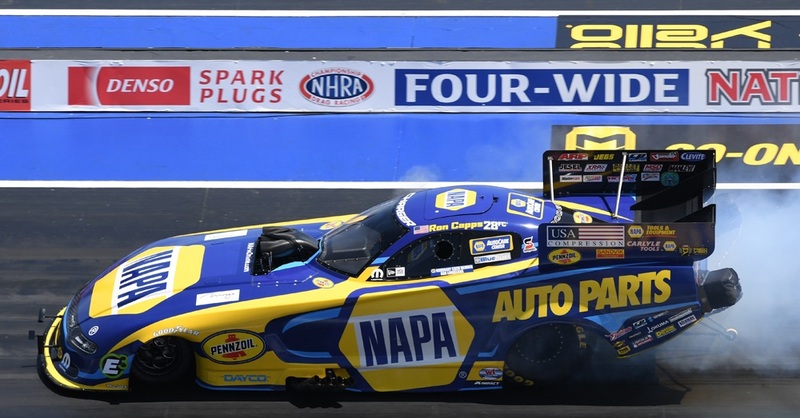 Capps arrives at Brainerd International Raceway with a 189-point over Courtney Force and can extend that by 20 on Saturday if he beats Worsham in the rain-delayed Seattle final round. Brainerd and the U.S. Nationals, to be held over Labor Day Weekend near Indianapolis, close out the 18-race Mello Yello season. The points payout in the U.S. Nationals are increased by 50 percent; each round win is worth 30 points instead of the customary 20 meaning the event winner will earn 150 instead of 100 at the other 23 Mello Yello events. After Indy, the top-10 drivers in each pro category will earn opportunities to race for world championships in the six-event Countdown to the Championship playoff that run concurrently with regular Mello Yello competition. At that point, points for the top-10 are reset with the regular season winner starting the Countdown opener at Charlotte with 2,110, which includes a 20-point bonus for finishing first in the regular season. Second place starts 30 points behind with 2,080 and the following contenders drop at 10-point increments through the 10th position.